Tearaway is a free online flyer maker so you can customize and create flyers for your service company. Choose your font, primary color, add a headline, a description, and your company info. Tearaway takes care of the rest! Looking for some tips on how to best advertise with flyers? 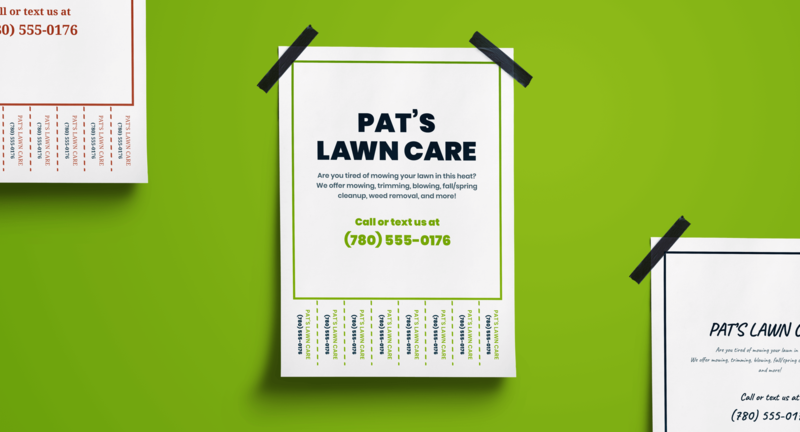 Check out our resource on the easy way to use flyers to advertise your lawn care company.